One week ago today, I took some friends (both named David) on a flight to check out the wildflowers in Southern California. Later that day, I posted a few pictures on my WingsByWerntz Facebook page of what has been termed a “superbloom” of California Poppies (the state flower – Eschscholzia californica) near Lake Elsinore. 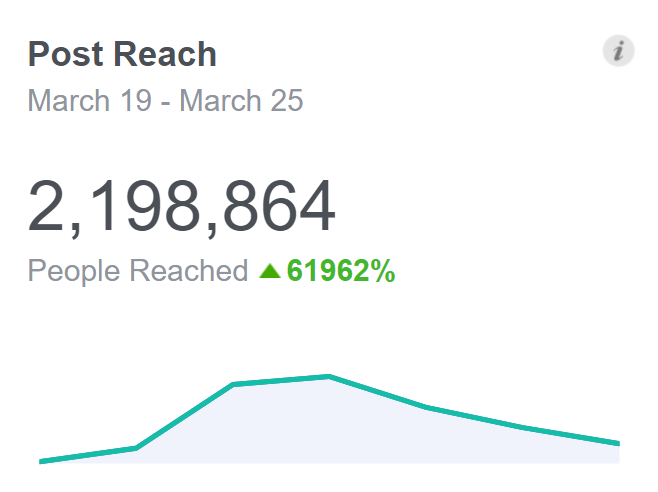 One week later, Facebook tells me those pictures have reached over 2 million people! It’s been a strange experience to see pictures I took get thousands of likes, comments, and shares. I’m a professional pilot, but an amateur photographer. I’ve even had people email copies of the pictures to me without knowing I was the one who took them! For our flight that day, we first planned to fly to Anza-Borrego, then back to French Valley for lunch, and then over what we knew was a good area of flowers near Lake Elsinore. We flew near Lake Elsinore on the way out, but decided the lighting would be even better later in the day (my first picture with the wheel fairing in it was taken with my cell phone at this point). While many friends had posted great photos of Anza-Borrego from the ground, we found very little from the air. To be visible from the air, the colors need to be intense and the flowers dense over a fairly large area, so we were disappointed that these were not as impressive as what we had flown by earlier. We enjoyed lunch at French Valley and then headed northwest towards the area between Lake Elsinore and Lake Matthews. We picked up flight following from March Approach at 4500′ back to EMT and advised them we would want to do a couple of orbits northeast of Lake Elsinore. We were switched to SoCal approach right about the time we were getting over the best poppies. The area of poppies was large enough that it took us 12 minutes in the airplane to circle the area. Many people have asked if I was pilot or photographer and the answer is both. I handed my camera to one of my friends to snap a couple of shots, but the majority were shot with me reaching across the airplane, holding the camera with one hand and shooting pictures through the window – not the recommended method for stable photos in an airplane. With high shutter speed and image stabilization, it worked surprisingly well. The time of day we were there was almost perfect – the poppies open up most in the sun of the afternoon. Putting the plane between the sun and poppies shows them in their best light. I always carry both my cell phone (ok for wide angle pictures), as well as a compact zoom camera (a Canon SX-720 HS). If I know I might have good photo subjects I will bring a larger, interchangeable lens camera – currently an Olympus O-MD E-M10 (the latest version of that camera). Built in image stabilization and its size make this a good compromise in the airplane. For general photos, I used a wide range zoom (Panasonic 14-140mm) which allows me to capture both wide angle and telephoto, though the quality is not quite as good as if I carried several lenses. When I got back home after the flight, I downloaded all the pictures onto my laptop and selected about 15 photos I though were best out of the 40 I shot. I was in a hurry, so I did some basic editing of JPG files with the Windows 10 “Photos” app. Photos auto correction does a pretty good job of eliminating the color cast caused by shooting through my plane’s tinted windows. I upped “clarity” which seems to help with the haziness of the windows and then some final adjustments to “light” (exposure) was all. I do sometimes use Adobe Lightroom on raw files, but didn’t this time. If you haven’t already seen all the photos, check them out at the WingsByWerntz SmugMug page. You can purchase a print of your favorite photo, or get a mug with a photo on it, or even purchase a jigsaw puzzle of one of the pictures (a former student ordered one and I look forward to seeing it). You get to choose how to crop the picture, so you could decide to eliminate the plane’s wing in the photo or zoom in on a section of your favorite photo. I made a 8 x 16″ panoramic print of my favorite that I hope to get framed and hung soon. This entry was posted in Destinations, Trip reports and tagged 2019, aerial photo, californiapoppies, cessna 182, lake elsinore, poppies, superbloom, wildflowers by dgwerntz. Bookmark the permalink. Congratulations!! I reposted them to my FB page and saw they had already been seen by thousands of people. I wondered whether or not you knew. Well you took fantastic photos…I’d say more than an amateur. Thank you for sharing. I’m a neighbor, and saw your pics in the Buzz. I was surprised to see friends from Tehachapi and other places not near us posting your photos!